The SS100 sports car. Prior to the outbreak of WW2, what was later to be known as Jaguar, was actually called SS Cars Limited, with manufacturing facilities in Coventry. 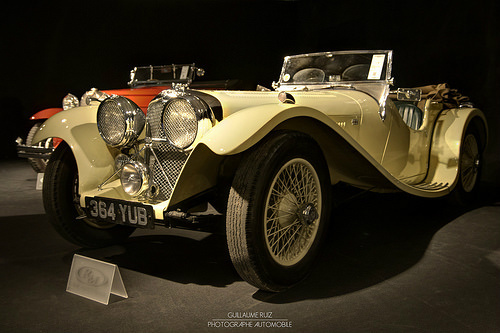 In 1934, it started producing sidecars for motor bikes, but soon diversified into building the small, two seater Jaguar sports car. At that time, the market was wide open for the innovative design of performance classic cars. Launched in 1936, the SS100 was one of the few Jaguar cars to be produced before the onset of war. 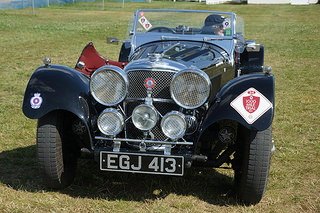 Also known as the Jaguar 100, it was amongst the first Jaguar cars to sport the Jaguar logo. 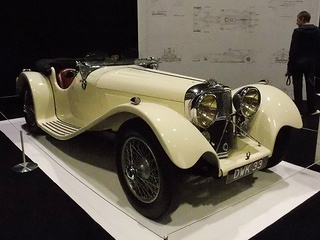 It was the successor to the company's SS90, a two seater convertible powered by a 2.6 litre, 6-cylinder, side valve engine, fitted with two RAG carburettors, which developed 90 bhp, and produced a top speed of 89 mph. 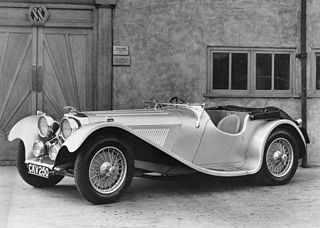 The original SS100 was fitted with a 2.5 litre, Standard side valve engine that developed 70 bhp, and had a top speed of 85 mph. This was then further developed to incorporate overhead valves, and fitted with a new cylinder head and two SU carburettors attached straight onto the head. This unit now developed 100 bhp, and was capable of 95 mph, with a 0-60 mph time of 13.5 secs. In 1938, the Standard Six engine, as used in the SS90, had its bore and stroke increased so that the capacity rose from 2664 cc to 3485 cc. That same year, the 2.5 litre variant was replaced by this new 3.5 litre, overhead valve, straight six engine, fitted with two SU carburettors, and which developed 125 bhp. This produced a top speed of 101 mph, and a 0-60 mph time of 10.4 secs. The chassis was a shortened version of that used in the SS90 of 1935, and the suspension consisted of semi eliptical springs on all wheels, together with rigid axles. The fact that it could now exceed the magic 100 mph barrier vindicated its title of SS100. 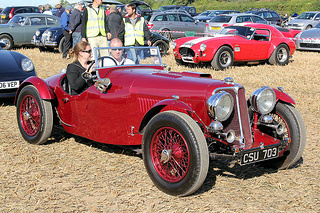 It was referred to as a "Le Mans two seater", and was often used in competitions at Brooklands, and other rally venues. 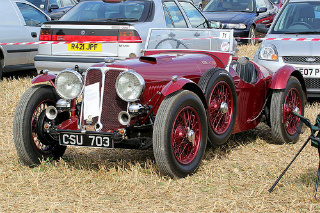 The 3.5 litre variant was the most sought after of the pre war Jaguar sports car. By 1940, production stopped, and the company was required to convert to the manufacture of military equipment. At this point, only 198 of the 2.5 litre variant had been built, plus 116 of the 3.5 litre version, with just 49 units having been exported. In terms of external appearance, the SS100 had stunning looks, with a narrow front section, and sweeping wings that flowed onto the running boards. It was widely regarded as being one of the most stylish of all Jaguar cars. Furthermore, with so few built, its rarity value was reflected in the price of around £300,000 for an example in good condition. 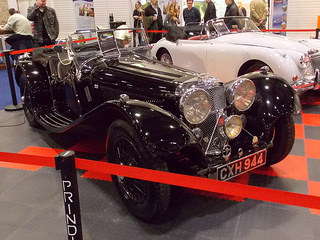 A point of interest was the fact that the late Alan Clarke MP was the owner of a SS100 Jaguar, and drove it daily to the Houses of Parliament. 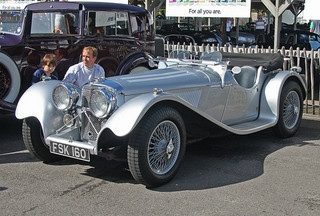 The SS100 soon became a Jaguar cars classic, and an example in showroom condition could command as much as £200,000.